Tensions had been building between Mayor Samantha Paradis and the council since Paradis wrote an op-ed saying she had experienced sexism, ageism and bigotry in her capacity as mayor. 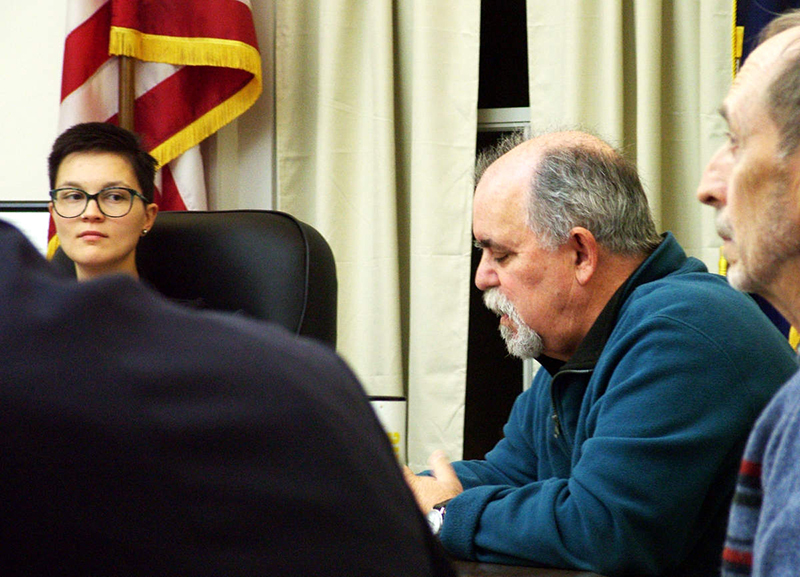 BELFAST — Tension eased among municipal officials Tuesday night after city councilors and the embattled mayor traded olive branches. The city’s elected officials put their differences aside and reversed contentious votes from a week earlier in front of an overflow crowd at City Hall. Tension between Mayor Samantha Paradis and city councilors had been building since Paradis wrote an op-ed in The Republican Journal on Nov. 22 stating that she had experienced sexism, ageism and bigotry in her capacity as mayor. Councilors, believing the comments were directed at them, called an emergency meeting on Nov. 27 and voted to bar Paradis from speaking on behalf of the council. Additionally, the council voted to withdraw from the Mayor’s Coalition on Jobs and Economic Development, in which Paradis had represented the city. Councilors said they were responding to a pattern of self-centered behavior by the mayor that culminated with the unsupported accusations in her op-ed. Paradis and her supporters described the moves as politically motivated punishment that could cause other problems for the city. On Tuesday, it appeared that each side took some of the other’s criticism to heart. Paradis opened the meeting with an olive branch, saying she “did not fully appreciate the impact” of her column. “My intention was never to say that any of you are ageists, sexists or bigots,” she said. Paradis also apologized to Lee Woodward for overshadowing his recognition as the Chamber of Commerce’s citizen of the year with a column that was critical of his remarks at the annual awards dinner. Councilor Eric Sanders followed the mayor’s comments and moved to rescind the two votes from the previous week, in the interest of putting the city first. The votes were rescinded. “Some of the ink we’ve gotten in the last week could affect the city of Belfast and I don’t think that’s necessary,” he said. Additionally, Sanders suggested diversity training to re-establish trust between the council and mayor. Councilor Neal Harkness said the city’s elected leaders have worked well together on policy. The conflicts have been over style, communication and procedures, issues which he said should be surmountable. “I think people all over town right now are breathing a huge sigh of relief,” resident Glenn Montgomery said.